Sly composed most of Riot on his own, including “Family Affair,” a stripped-down track with a drum machine and light electric keys. Vocally, Sly opts for a grumbling, conversational cadence that adds a certain intimacy. The result is a song that feels like a personal conversation about life’s ups and downs. Life is too complex to cover with one song. There’s too much strife, too much anger, too many complex questions and issues. But sometimes some songs fit situations so perfectly. 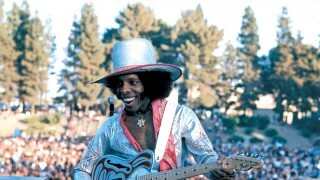 Sly & The Family Stone have many great songs and albums. … Consider the setting for the early several albums. From 1967 to 1973, you had the rise and fall of flower power, the increasing anger over Vietnam, racial and religious conflicts were skyrocketing, and the political scene was polarizing and chaotic. Does any of that situation sound relevant to today? Please understand that I’m not suggesting that any song, any music group, any particular album will be the balm to cure any societal ailment. But Sly & The Family Stone’s “Everyday People” is such a great song. And it seems to apply as much now as it did in 1968. Read more at the St. Cloud Times. Just in time for Sly’s birthday, Rolling Stone has compiled a list of what it considers to be 20 essential songs by Sly & The Family Stone. Do you agree? Read the full list. Recorded during the pair’s 2013 sessions — and featuring a rare appearance from Sly Stone on keys — “In Da Kar” boasts a slick, smooth, understated groove while George Clinton’s voice crackly voice roughens up the edges. It’s an undeniable driving song, and the video fittingly opens with the Soul Clap guys, decked out in flamboyant Seventies-style outfits, pulling up to a gas station in slow motion to refill the tank of their black Corvette. Sly & The Family Stone’s “Everyday People” was covered on the inaugural episode of “The Late Show With Stephen Colbert” by Mavis Staples and the show’s house band. Alabama Shakes’ Brittany Howard, members of Beirut, Buddy Guy, Ben Folds, Aloe Blacc, Derek Trucks, and others were alongside Staples during the cover performance. Read more and check out the video at Pitchfork. 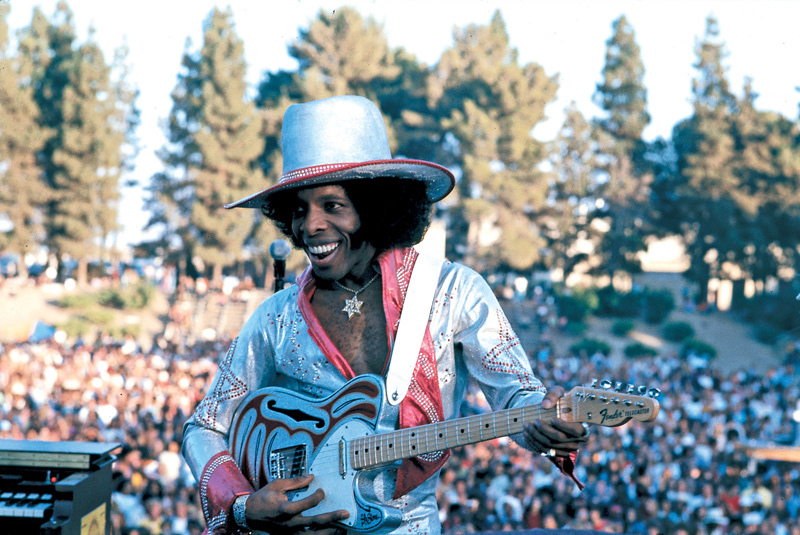 That’s what one audience member exclaimed Sunday, Aug. 23 at the Count Basie Theatre in Red Bank when music icon Sly Stone made an ultra-rare appearance on a concert stage, with no less than the Family Stone, which features several original members of Sly & The Family Stone. The White House joined Spotify today, creating daytime and evening playlists featuring some of President Obama’s favorite summer songs. On the daytime playlist — Sly & The Family Stone’s “Hot Fun in the Summertime.” Enjoy the full “Day” playlist, featuring Sly & The Family Stone, below! The Sly and the Family Stone: Live at the Fillmore East — October 4th & 5th, 1968 box set has been receiving great reviews in the press since its release last month. 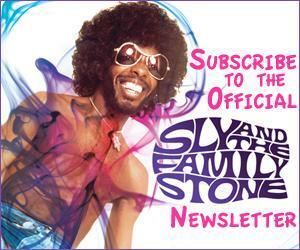 Enter for a chance to win a Sly & The Family Stone – Live At The Fillmore East October 4th & 5th 1968 CD, black vinyl and poster, plus 7 studio albums! Sly & The Family Stone ‘Live At The Fillmore East’ Out Now! In the fall of 1968, Sly and the Family Stone was a confident band worried about its future. Pressured by Epic Records earlier that year to record “Dance to the Music,” a commercial second album, the band pushed back in September with “Life,” which was truer to its freewheeling roots. To promote the album, Sly and the Family Stone were booked into New York’s Fillmore East on Oct. 4-5. … The band was eager to show Epic that its feel-good, jam-session treatments of gospel-tinged funk-rock originals could whip up any audience. Judging by Sly & The Family Stone – Live At The Fillmore East October 4th & 5th 1968 (Sony Legacy), a four-CD set due July 17, they succeeded.